Speaking after China amended its wildlife protection law, Zhai Yong, head of parliament's environment and resources protection committee legislation department, admitted using wild animals for medicine was highly controversial. But substitutes reduce the effectiveness of traditional medicine, he said. "If in the future original products from wild animals are all substituted, our Chinese medicine perhaps won't be of any use anymore. This issue needs to be discussed by us Chinese people," he added. 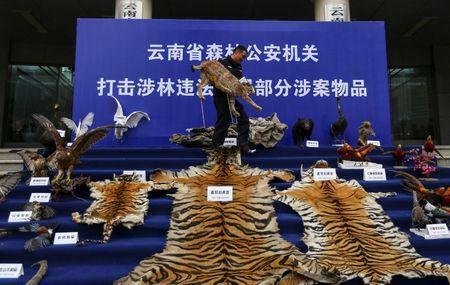 Yan Xun, chief engineer of the wildlife preservation department in the State Forestry Administration, said skin and bones from farmed tigers were "legal assets" but tiger bones could not be used in Chinese medicine since the 1993 ban. "Some international forces use this as a pretext to attack the raw material requirements for traditional Chinese medicines, and often require China to forbid their trade," she was quoted as saying. 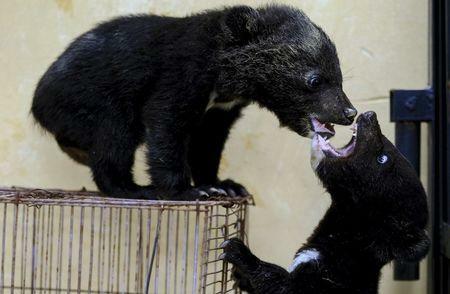 The amendments to the wildlife protection law brought only small changes. It still permits the continued "utilisation" of wild animals for medicine and also allows for them to be used in public performances, something animal rights groups have expressed concern about as well.